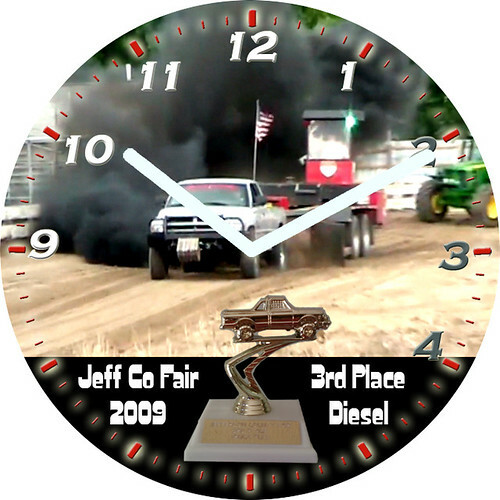 Here's a Diesel Truck Pull Trophy Clock that the owner of the truck proudly displays on his wall, even after he won first at another pull. I even got to take this photo myself for this clock. What fun! Get your trophy clock from www.customclockface.com.